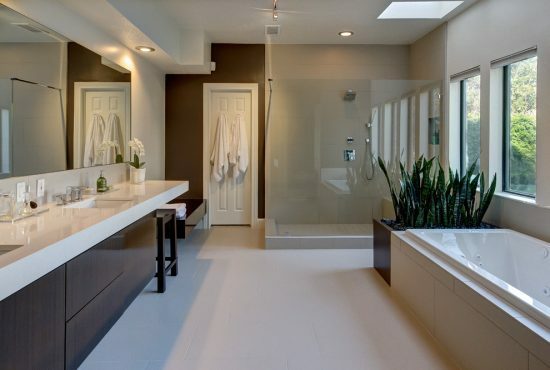 The luxury in a modern home lies in its simplicity, functionality, and relation to nature. 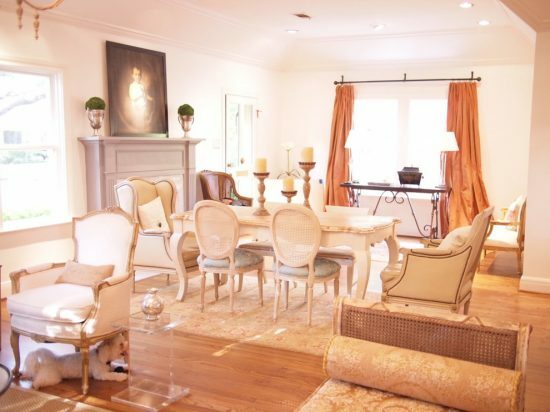 Gin Braverman of Gin Designs is famous for her minimalist designs with a pop of color and one or two luxurious pieces to provide any home a tasty and luxurious look. 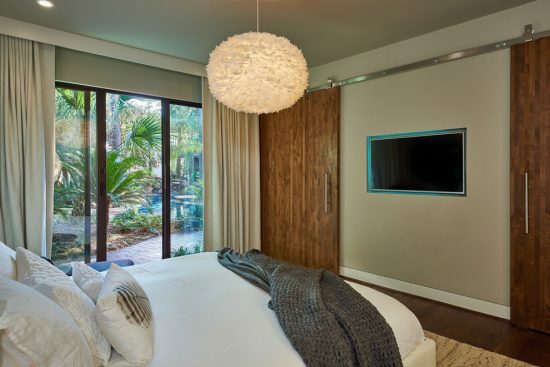 To create a restful look in your bedroom, the minimal luxury will be your best option. In Houston, Gin Braverman and her team design a Scandinavian modern bedroom with a relaxing seating area and a branch-looking chandelier to combine the indoor and outdoor look without cluttering the place. Gin design team create the same clean and minimalist look using a walk-in closet, a TV, a bed, and two chairs along with a luxurious chandelier and a unique view to the outdoor garden. The delicate colored and patterned wallpaper can provide your modern home a luxurious touch. 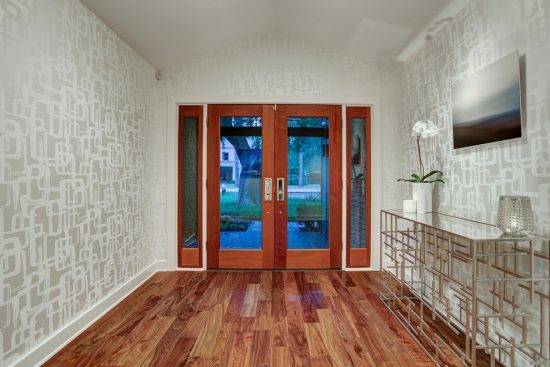 Gin and her team provide a South Lou home a dramatic touch using silver wallpaper with geometric shaped patterns to cover the foyer walls and ceiling, as “the slight metallic sheen… creates a subtle pattern that does not take away or fight with the other rooms and artwork that are visible from the entry” Gin says. Gin uses white walls with pops of grey, blue, and navy colors in different rooms of such a modern residence to enhance its simplicity. 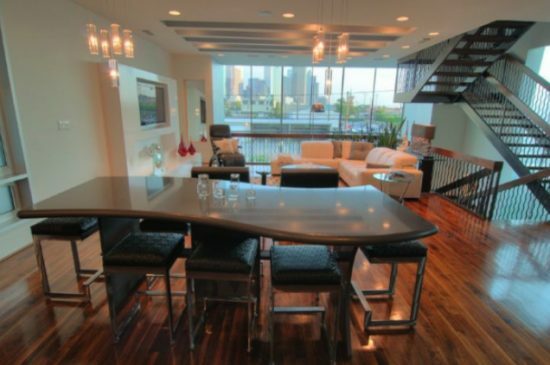 You can simply create a modern luxury in your home using a textured accent wall along with a suitable colored painting or a unique shaped chandelier like the Houston-based Mid-century home decorated by Gin Braverman and her team. 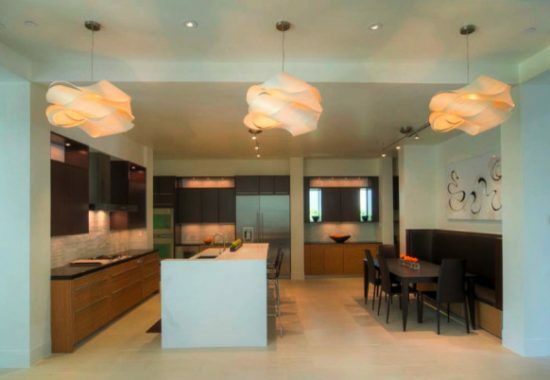 The dark touches such as fiercely backsplash tiles or espresso cabinets in your kitchen will certainly create a unique luxurious touch in your modern home. The final change can be a personal collection or artworks to provide your modern home its unique soul.